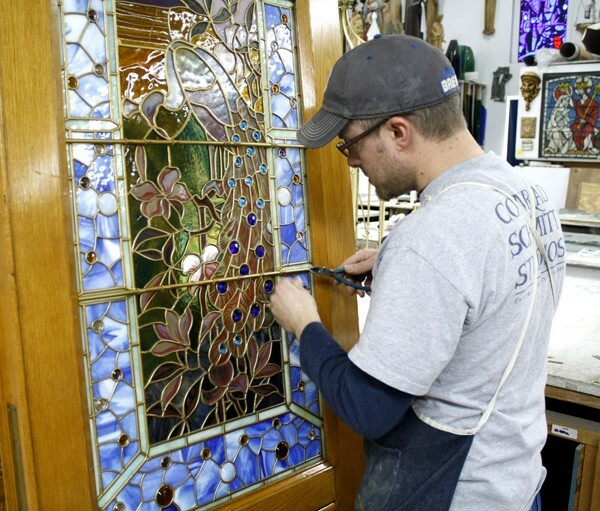 When the owner of this historic Queen Anne style home in Neenah noticed that the stained glass panels in his entrance doors contained several cracked pieces of glass and bowing areas, he contacted the Conrad Schmitt Studios. 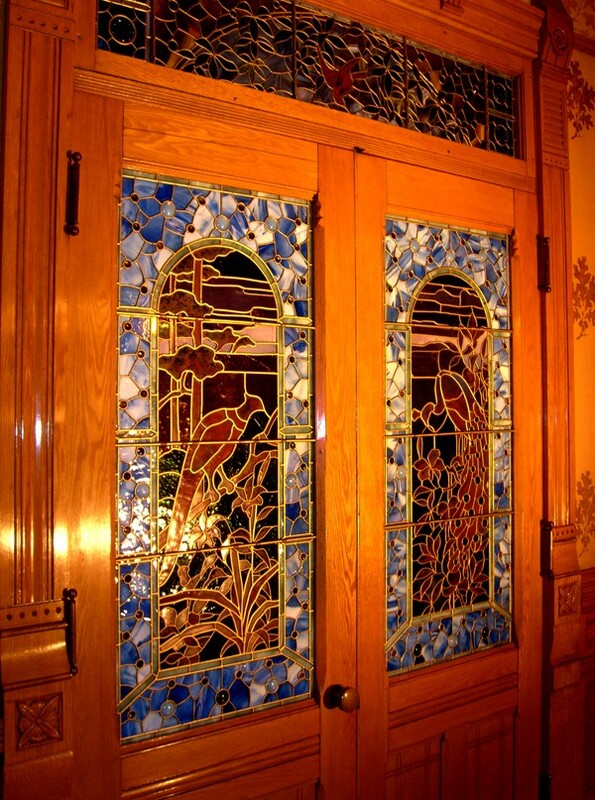 The doors were the focal point of the home’s grand reception hall and illustrated a beautiful design conceived by the original owner, one of the founders of the Kimberly-Clark Corporation, Havilah Babcock. 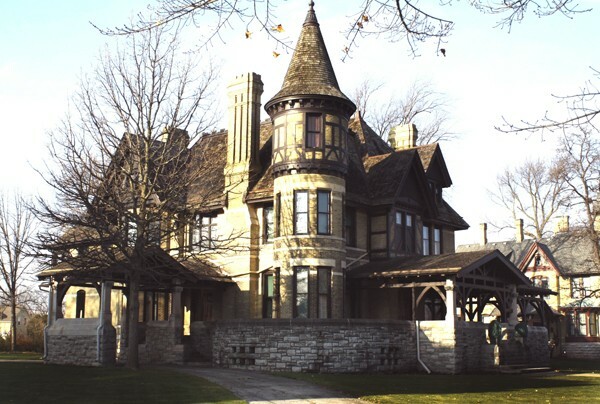 The house was built by renowned, Wisconsin architect William Waters, between 1881-1883. 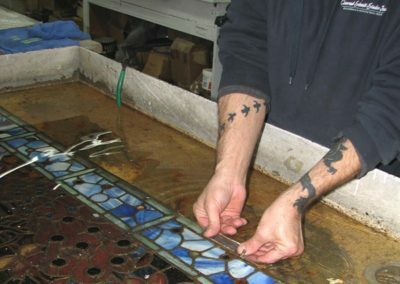 The quality and beauty of the stained glass dictated a museum quality conservation – true to Mr. Babcock’s original vision. 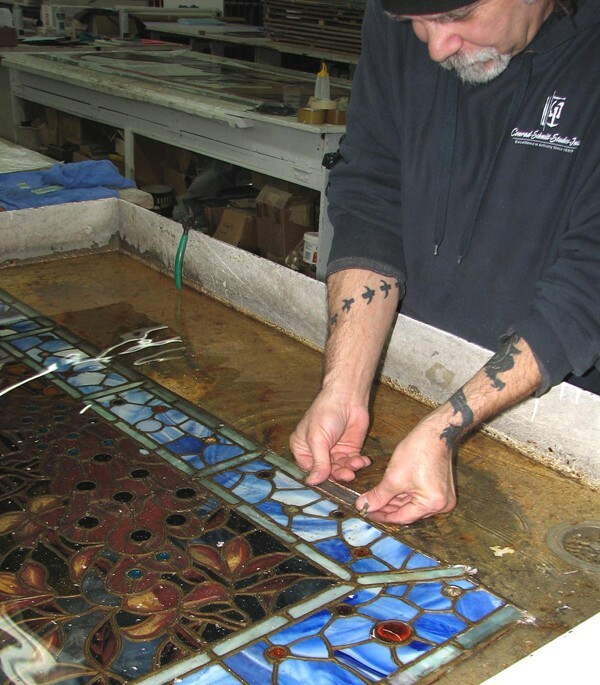 Challenges in the conservation of the panels included replicating a special treatment of the lead came, known as a dore’ finish, which had patinaed over time; as well as matching the pieces of glass too damaged to be conserved. The first step in the process was to access the condition of the panels and determine the best approach for the conservation of the stained glass. Numerous photographs were taken on site. 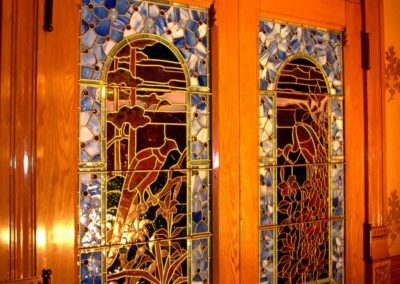 It was concluded that the doors would be transported to the Studio in their entirety and the individual panels would be removed in the Studio. 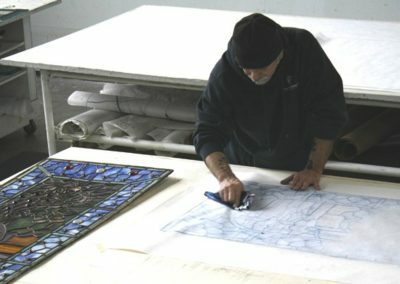 After additional photographs of the panels were taken on a light table, a rubbing was made before the lead was disassembled. 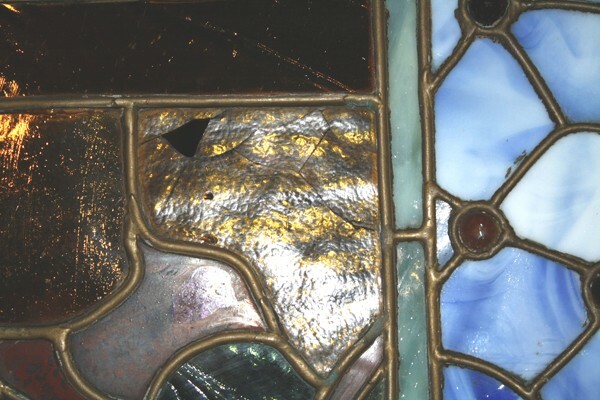 The glass was carefully cleaned and broken pieces were repaired using conservation epoxy. 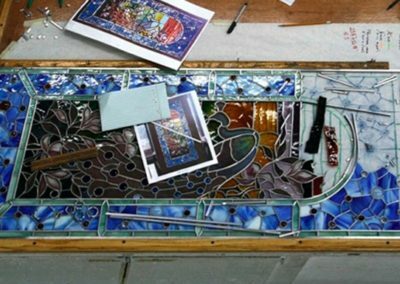 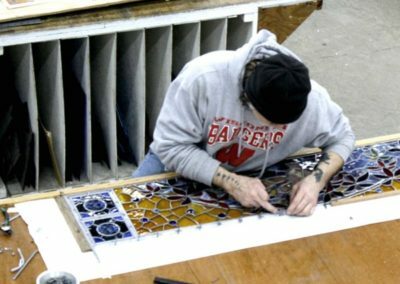 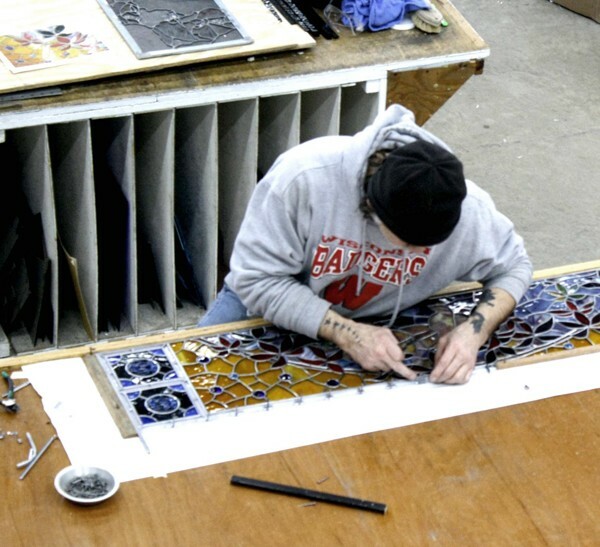 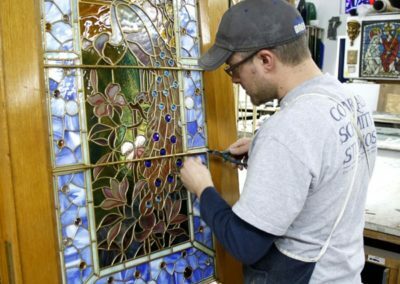 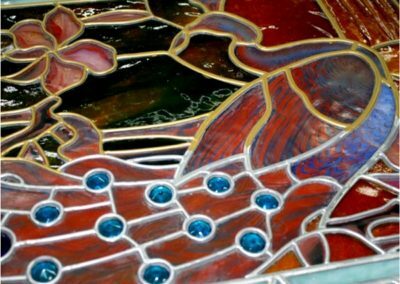 Two pieces of glass were unsalvageable and replacement pieces were located in the Studios’ extensive stained glass inventory. 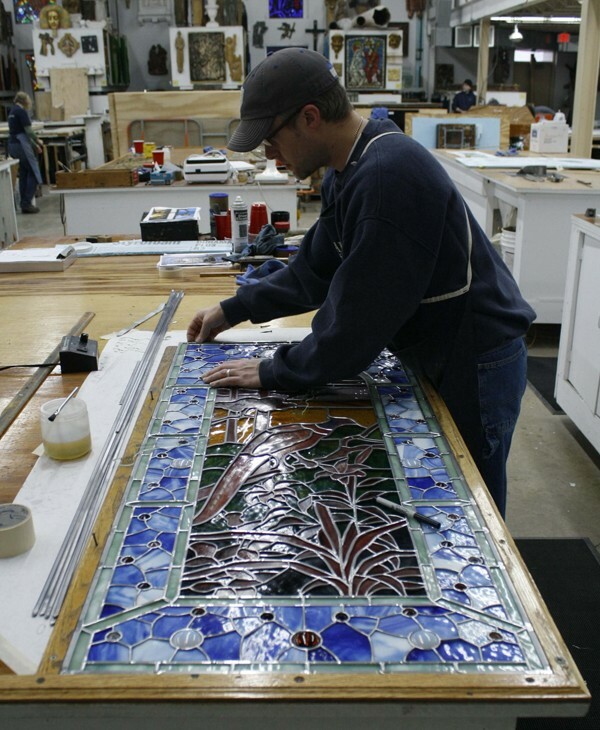 This included a piece of hand-rolled amber cathedral glass that was a perfect match in a key location in the panel. 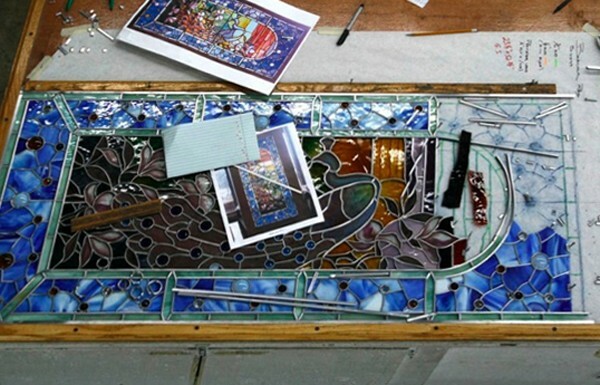 The panels were glazed using restoration lead came and then cemented with a linseed oil-based putty. 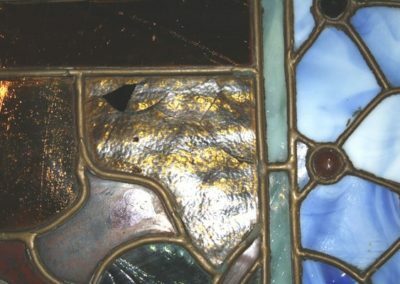 The lead came was then painted to match the antique look of the original came. 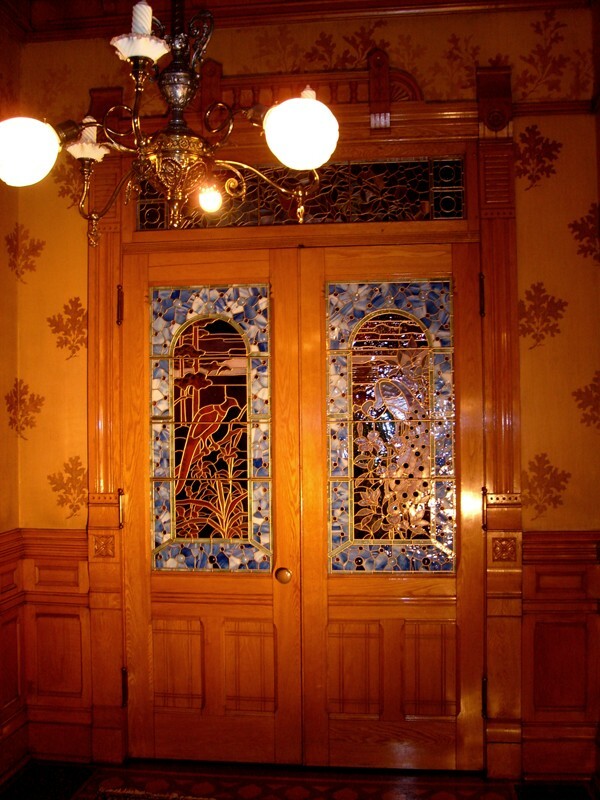 After a final cleaning and inspection, the panels were reinstalled into the doors. 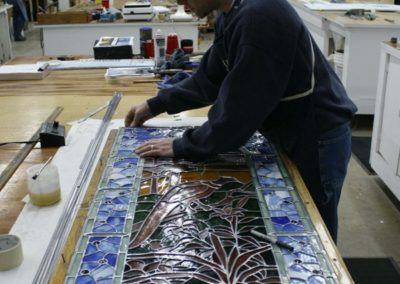 The owner was sure the panels appear today, just as they did when they were originally installed 130 years ago.